This time is different, in the hours before the anomaly scan. I don’t know of one simple reason why. Maybe because bad things happen. Maybe because I haven’t felt so many movements this time around. Maybe because I’ve been so sick. So many maybes, creeping up to what ifs. But I can’t go there. The sensible side of me knows that what will be, will be. And what ifs don’t help anyone, least of all the tiny life inside of me. All that I hope is that the poppy seed’s heart is still beating. That the life is still growing. That karma exists and my body is doing it’s job of nurturing and protecting. It doesn’t matter if this baby is a boy or a girl. It matters that this baby is. And so in a few hours, we will know more. We will- hopefully- see that heart beating on the screen. We will discuss further plans for the birth and we will eat lunch with smiles on our faces. We will. I know this feeling, I’ve got the nervousness creeping in. I’ve never felt worried about 12 week scans before but did this time for some reason, I’m looking forward to the twenty week scan but so anxious. Good luck! I don’t normally panic either, but this time felt different. Luckily all was well. Phew! KarenAnita recently posted..Painting The Nursery: Blue Is Gender Neutral, Right? 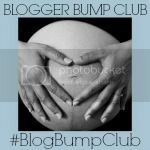 Katie @ A Mother Thing recently posted..20 Weeks – Halfway There! Thank you for the big happy thoughts! After the longest scan EVER all is well! It’s so hard when you can’t see for yourself that all is ok! But it all went well in the end, thank you! Molly recently posted..What’s wrong with being a “mummy blogger” anyway? Ah I love our little community too, its so nice to have a little group of bloggers who totally get it!